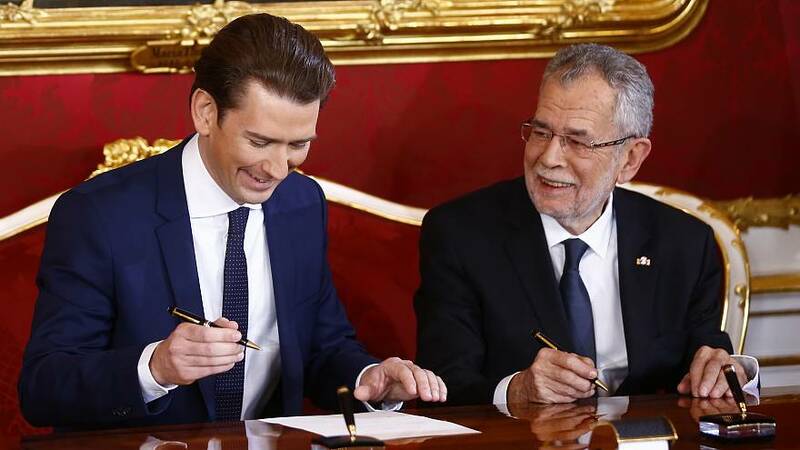 The government, which consists of the far-right Freedom Party (FPO) and Austria's new conservative leader Sebastian Kurz's People's Party (OVP), was formed on Friday, December 15. The OVP won 32% of the vote in October’s elections, securing 62 seats of 183 in the national council and the FPO came third with 26% of the vote and 51 seats. Kurz assumed the position of chancellor, making him the EU's youngest leader at 31 years of age. The ceremony also saw Heinz-Christian Strache's FPO in power for the first time in more than a decade. Austria will become the only western European country with a far-right party in government. Aside from Chancellor Kurz, the OVP has eight of the 15 positions in the new cabinet, with the FPO taking seven. Protests erupted across Vienna on Monday morning with demonstrators objecting to the far right's prominence in the cabinet. Nine separate marches were organised in the Austrian capital, with police estimating about 5,000 people likely to attend.